It's a trillionth of a billionth of a second. 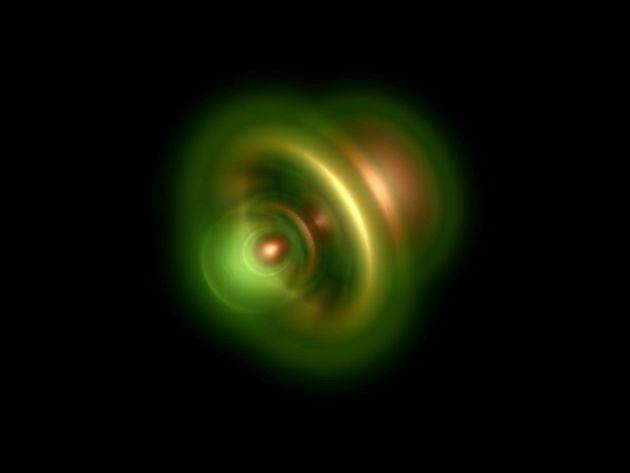 This image shows a photon removing an electron from a helium atom, with the remaining electron most likely near the bright nucleus. A millisecond is a thousandth of a second, and a nanosecond is a billionth of a second, but there’s another measurement of time that makes both of them look slow. Scientists have for the first time been able to measure something in a zeptosecond, or a trillionth of a billionth of a second. Laser physicists in Munich fired an extreme ultraviolet light pulse onto a helium atom to excite the electrons, causing one to break free ― a process called photoemission. At the same time, they shot an infrared laser pulse to detect the electron as it left the atom. The experiments also allowed scientists to see how energy from the photon was distributed between the two electrons in a helium atom in the moments before one of the electrons jumped out. That snapshot of a tiny moment in time will allow scientists a greater understanding of the quantum behavior of atoms.